One thing I've noticed among traders is that success breeds optimism and energy and optimism and energy breed success. It's not difficult to walk onto a trading floor and see who is active, interactive, and inquisitive and who is glumly staring at screens and pacing the floor. I've written in the past about the ratio of activities that give energy to activities that drain our energy and why it's so important to have a positive balance. It is very difficult to sustain effort--whether it's concentration in following markets or researching trade ideas--without feeling energized. This is why quantity and quality of sleep are so important to performance; it's why being in good physical shape is helpful. It's also why clinging to moment to moment, day to day P/L can be so deadly, draining us of willpower resources. In a recent article, I set out three keys to thriving in any work we perform, including trading. The common element among these is positive energy. When we say something has expired, we mean it is no longer fresh, no longer potent. When we say we are inspired, we mean that we have gained vitality. There is a world of difference between expired traders and inspired ones. 1) Does your morning routine give you energy or rob you of vitality? 2) Do your conversations and interactions with other traders distract you and interfere with your best trading, or do they inform and inspire your best trading? 3) When you research trading ideas, do you feel inspired and energized? 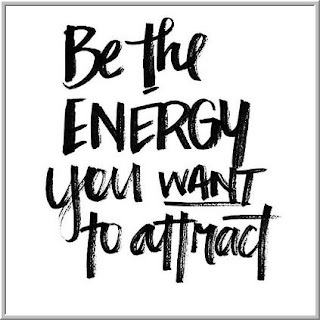 4) Do your trading reviews lead you to constructive, energy-giving goals or do they discourage you? 5) Does your self-talk move you forward and motivate you, or does it discourage you? If working for someone who managed you the way you manage yourself would lead you to quit your job, you know you have a problem. All of us are managers of our lives and careers, and--for better or for worse--we are coaches to our own trading. Is your self-coaching giving you energy or is it holding you back from your best performance?